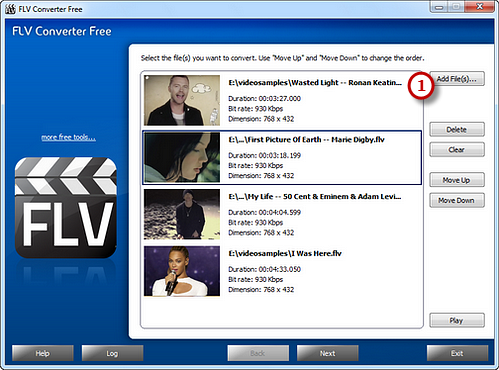 Launch FLV Converter Free. Click “Add File(s)…” ( ) to input FLV video files from your computer to the task list. Use the “Delete” button or “Clear” button to remove the unwanted files. Click “Move Up” or “Move Down” button or by dragging the listed files to arrange the order of the added files to meet your demands. You can also click “Play” button to play the selected file with the media player in your system. Click “Select…” ( ) to choose an output folder to save the output files. Click “Video” tab ( ) to choose “To MP4” ( ) as an output format (there are 3 tabs for output formats: “Video“, “Devices” & “Audio” and each tab contains various output formats). Then, adjust the output quality in the “Presets” ( ) dropdown list if more precise output quality is required. Click “Convert” ( ) to start conversion. After you click “Convert”, some conversion information and a progress bar will be displayed within just few seconds, like the duration, status and progress of the conversion. The post-process options can be chose to play a sound or shutdown the computer when the conversion is finished. When the conversion is finished, you can have a view of the general report about the conversion. 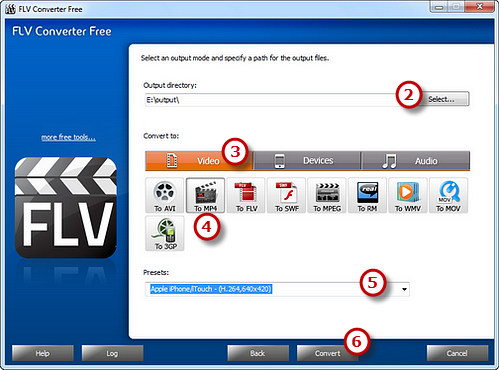 Click “Open folder” ( ) to directly open the output folder to get the converted video files. Posted in HowTo, Tips and tagged FLV to MP4. 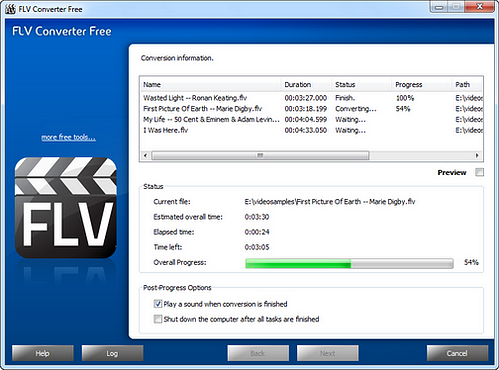 ← How to Convert FLV Files?